You can use what-if depreciation analysis to forecast depreciation for groups of assets in different scenarios without making changes to your Oracle Assets data. You can run what-if depreciation analysis on assets defined in your Oracle Assets system or on hypothetical assets that are not defined in Oracle Assets. Once an employee submits the expense report the approver associated with the expense reports gets a notification for the same. The approver can approve, reject or request more information. Only approved expense requests are transferred in to oracle payable as invoices. Determines the number of days in a period when calculating interest. 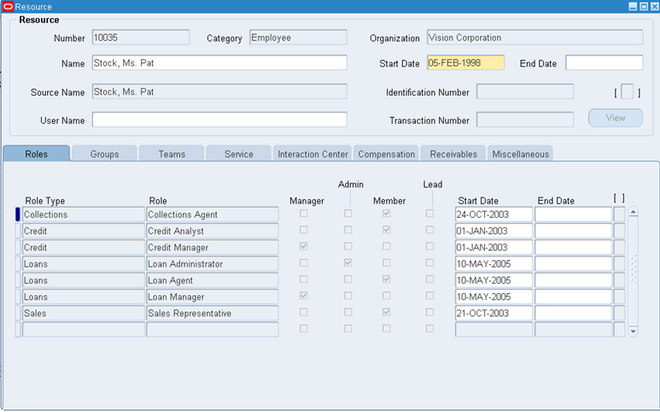 Select the Day Count method appropriate for your organization. The Actual/Actual and 30/360 day count methods have been verified using industry standard tools. Select Loans. 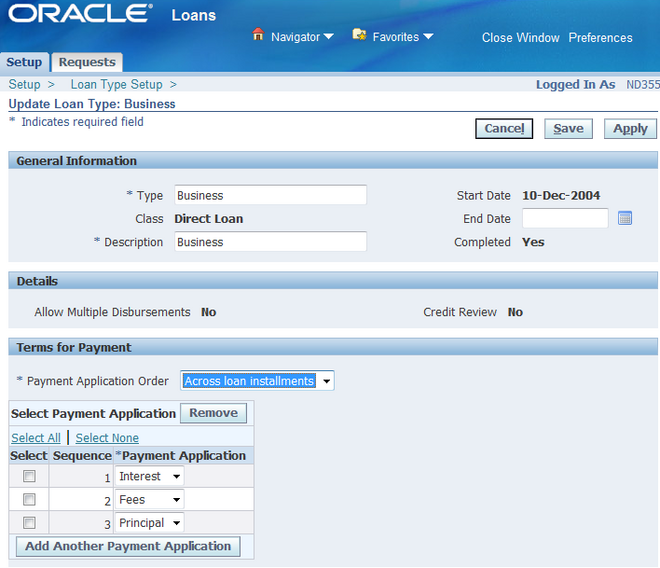 You identify Loans bills in Oracle Receivables by this batch source. Note: In Oracle General Ledger, the batch source for journal entries that are created for loans transactions is Oracle Loans. Loan Type is a structure to which Loan Products are associated. A Loan Type provides the mandatory characteristics to set boundaries while defining Loan Products. Loan Type defines accounting, reserving funds, critical calculations, ability to convert construction loan to permanent loans and requirement for collateral. Setting these parameters ensures all associated Loan Products adhere to same default settings as set up in the selected loan type. Before creating a new loan type, you can search for existing loan types that match your criteria and duplicate the loan type. Set up the interest rate indices for your loans. When a loan agent selects an index for a loan application, the rate will default for the index date selected from the index rates you set up. You can enter interest rates manually or upload a file from an external source. Tip: Save the index name before adding rates or importing rate files. 1. 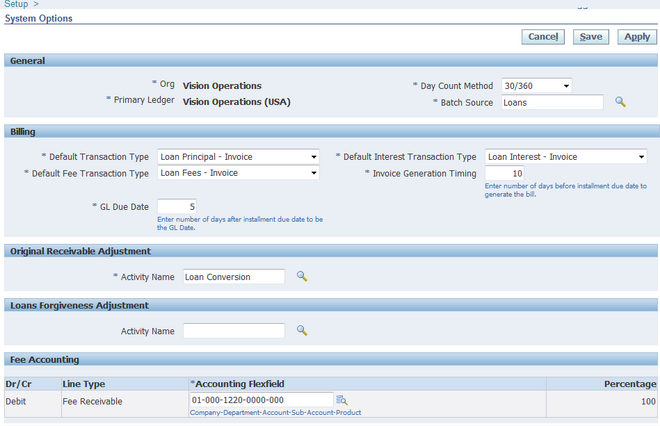 Define an active credit memo transaction batch source for Oracle Loans for use during the credit, or credit and rebill, process. Ensure the Type is manual, and set Automatic Transaction Numbering to Yes. 2. 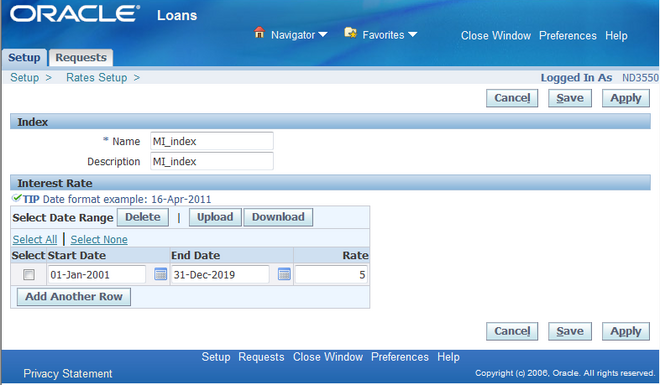 Query the seeded Loans batch source in the Transaction Source window and, in the Credit Memo Batch Source field, enter the credit memo batch source that you created in the previous step. 1. In the Resource Manager, Navigate into maintain Resources -> Import Resources. and then Import your employees as resources. 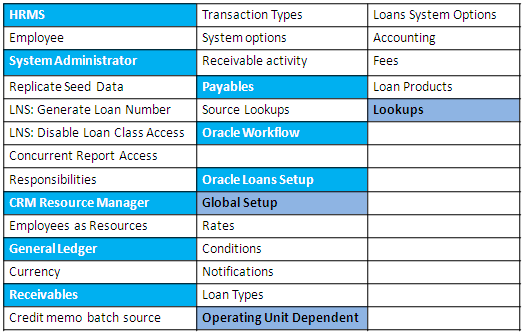 This section provides you with an overview of the setup steps for implementing Oracle Loans. 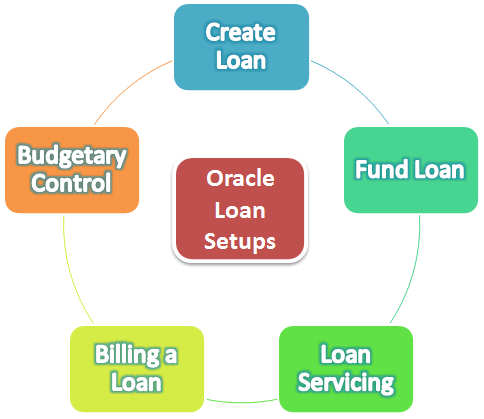 Oracle Loans supports the entire loans management life cycle, from loan origination and approval, to servicing and eventual loan payoff. Use a flat-rate method to depreciate the asset over time using a fixed rate. 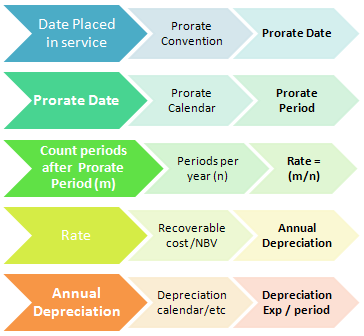 Oracle Assets uses a flat-rate and either the recoverable cost or the recoverable net book value as of the beginning of the fiscal year to calculate depreciation using a flat-rate depreciation method. The asset continues to depreciate until its recoverable cost and accumulated depreciation are the same.